Feminism, Personal, pregnancy, What do you know? 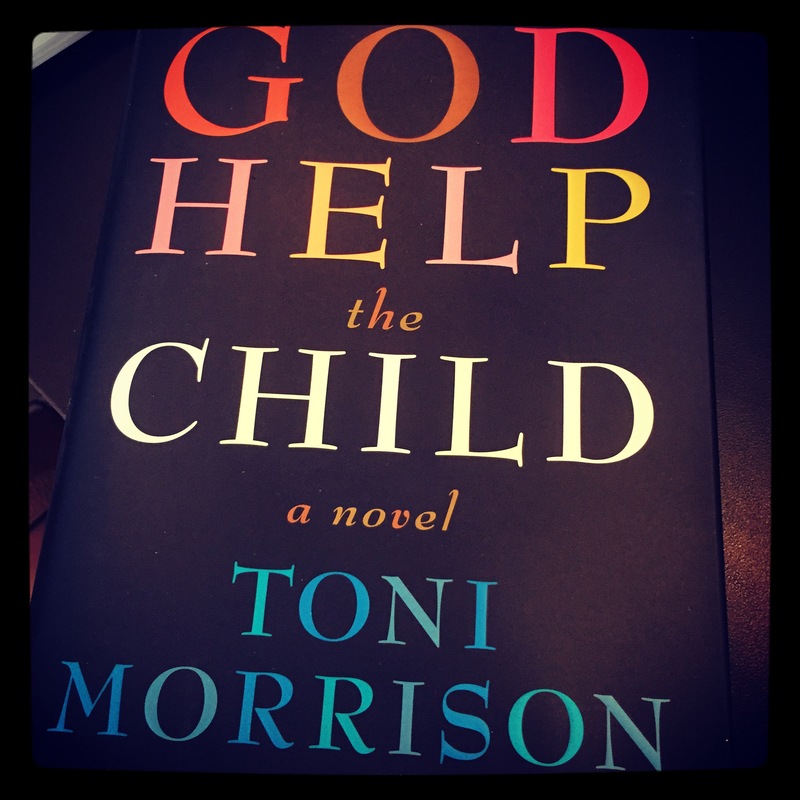 In Toni Morrison’s new book, God Bless the Child, she rips the rawness from humanity like roots from the ground and plants it on the page for you to explore. I recommend it, and the extremes of empathy that come with it. What I took from it primarily, was a practice that was carried out each Saturday morning around the breakfast table. Each member of the family was made to answer two questions. 1. What have you learned that is true (and how do you know)? And 2. What problem do you have? I like this very much. And since I have been in need of a prompt, and I don’t have enough people around my own dinner table yet to contribute to such a discussion, this one’s for you. What have you learned that is true (and how do you know)? Men and women are fundamentally different. I know because of the havoc that is wreaked when one of the gender’s expectations are not met. And how different those expectations can be. I’m generalizing here, or shall we say genderalizing, where the woman is more sensitive and the man is more practical, while she is thoughtful and multi-tasking, he is steady and diligent. She expects flowers and kisses, he expects dinner and Sports Center. She wants conversation about all of the aspects of both of their days, he wants a few good hours of not solving anyone’s problems. She really needs intimacy, he really needs a good night’s sleep. She’s soft, he’s rough. In the best relationships these are all the beginnings of compromises that we learn to make for each other, to complement each other. In the worst, well, we all know how that goes. Inevitably, it doesn’t matter that he’s stinky and forgetful and crass, or that she’s bitchy and demanding and emotional, what matters is finding the places where the love fits in between all of that diversity, and holding on for dear life, or love, to that. Pregnancy. Not the baby part of it, that’s magic. The hormone bit, though, is a nightmare. It has changed me in ways I never expected, which makes coping with them all the more difficult. (I’m noting this theme of better managing my expectations.) The problem is a two-parter. 1. Extreme allergies, including but not limited to: wheat, cheese, sugar, heat, citrus, spices. (I live in Miami – those last three are borderline sick and twisted) These new allergies have tested my patience and general will to be awake and go on living my life – a baby is a miraculous consolation prize, don’t get me wrong, but nine months is an awful long time to go without a bagel and cream cheese or spaghetti and pecorino, or donuts, especially when I want to eat so many donuts and get fat and bake in the sun. This was the time I was supposed to be allowed to be fat in a bathing suit, but I can’t go out in the sun. It’s a first world problem, I get that. But that’s the world I live in, and it is a problem. 2. I am so sensitive now. Or rather, I have always been sensitive, but I used to be able to put a cork in it, take time and think about what I really felt, and then express it in an appropriate manner, like aging a fine wine. I was civilized, I think. Now, it’s like my emotions are stuck in a P. Diddy video and at the slightest injustice I’m popping bottles and spraying emotional backlash all over everyone within range, shouting, crying, uncontrollably. I can see what I’m doing as if from afar and I wonder who that psychopath is and why she can’t reel it in, but I can’t reach her to help. And I have never been a crier. I used to read fiction, endlessly, but now it all seems too sad. I write less and think so much more. I worry and brood and that’s never been me. So, trying to get to know this new me and make peace with her ways, after thirty years of trying to get used to the old me and barely getting a handle on her ways, is a problem. Feel free to comment with help. P.S. I’m sorry for my long lapse of no blogging, please forgive me this rambling return.